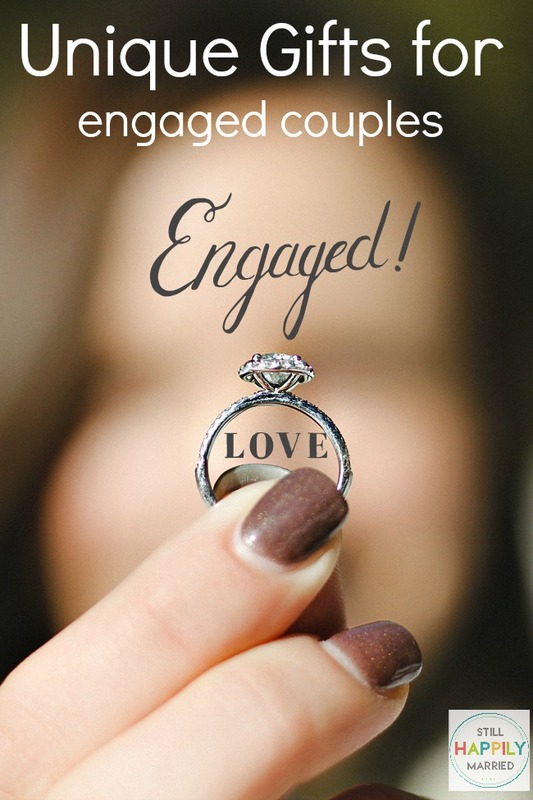 Finding gifts for an engaged couple can be so much fun & it can be stressful at the same time, because you want to find a great gift! You want to find a gift that is special & unique, but practical at the same time. We’ve got you covered with these fun gift ideas. They contain affiliate links to take you right to the gift. Happy Shopping!! 🙂 What an exciting time! 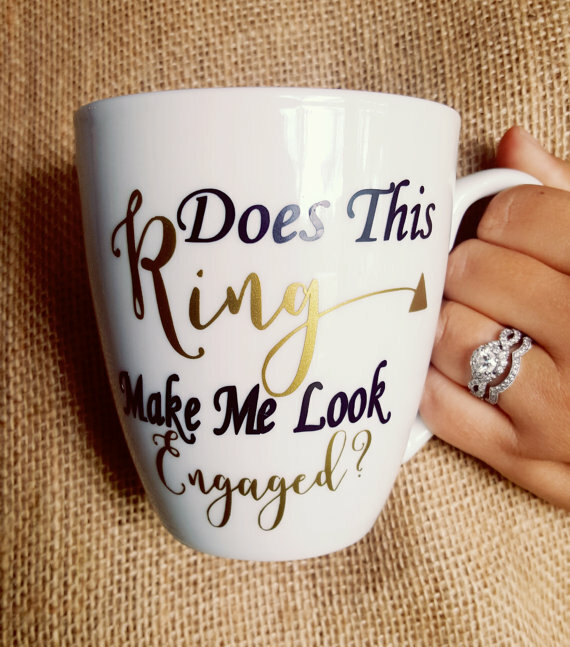 “Does this ring make me look engaged” coffee mug. It even has an arrow that will point to your ring if you are holding it in your left hand, so cute! 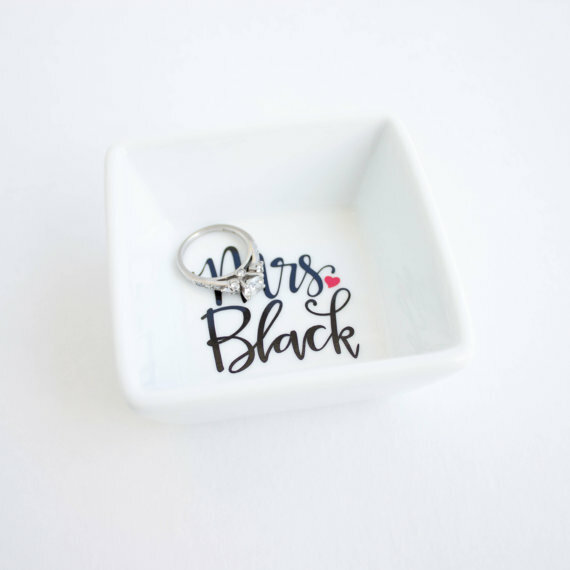 A personalized ring dish to ensure you don’t loose your rings when you take them off. 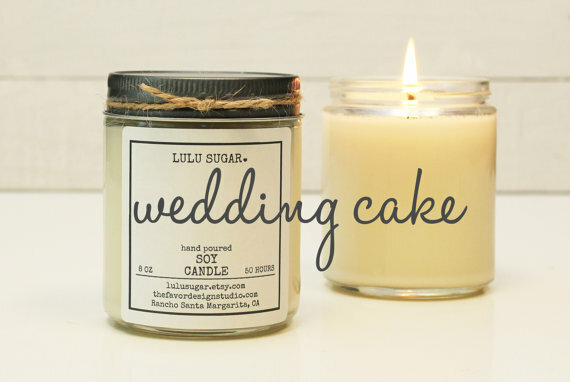 This wedding cake scented soy candle would be a cute gift to put in a gift basket for the newly engaged couple. A necklace for the bride to be that says “Mrs” on it. 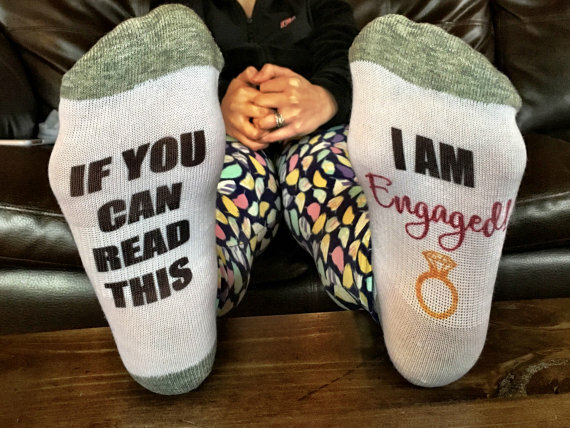 Another cute gift basket item is these socks that say “If you can read this I am engaged” on it. This would also be a cute engagement announcement picture for social media! A custom save the date sign. 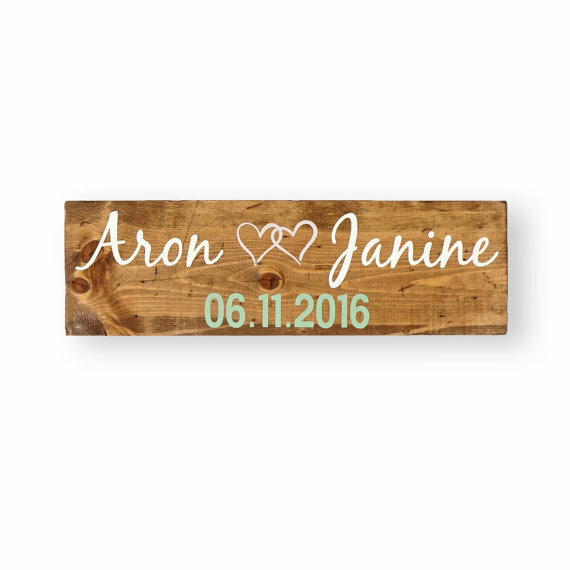 You can personalize it with the future wedding date or the date of the engagement! 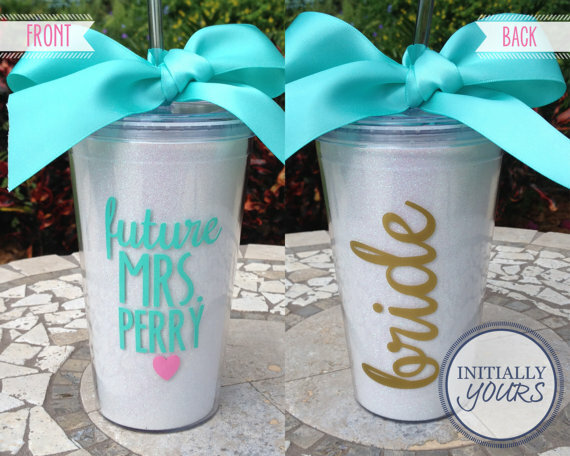 This customized tumbler is super cute and would be very useful for all of the days the bride will spend planning. Perfect for the wedding day while she is getting ready too! 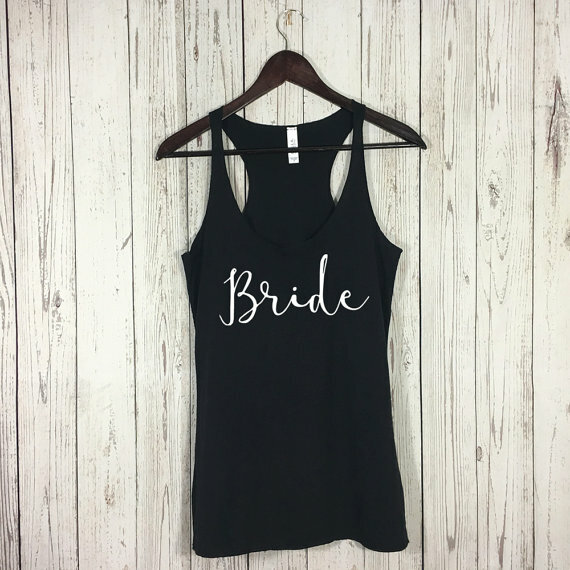 A “bride” tank or t-shirt! 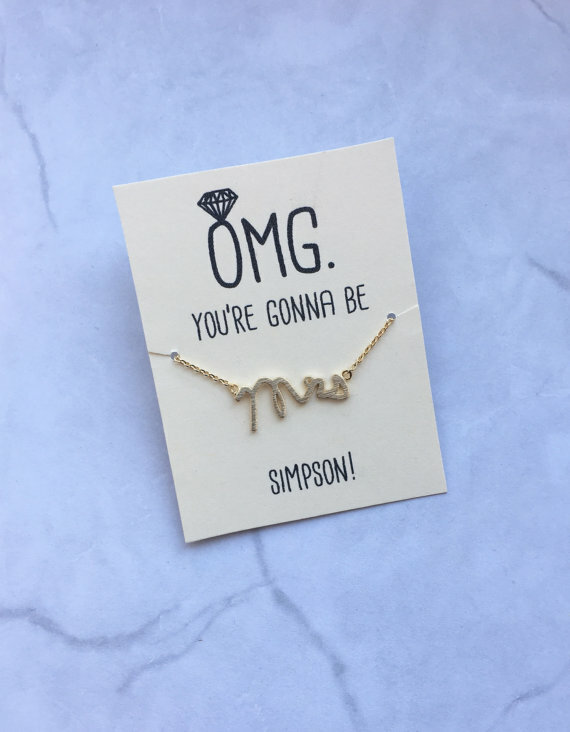 The bride to be can wear this for her bachelorette party or while she’s getting ready for the ceremony. 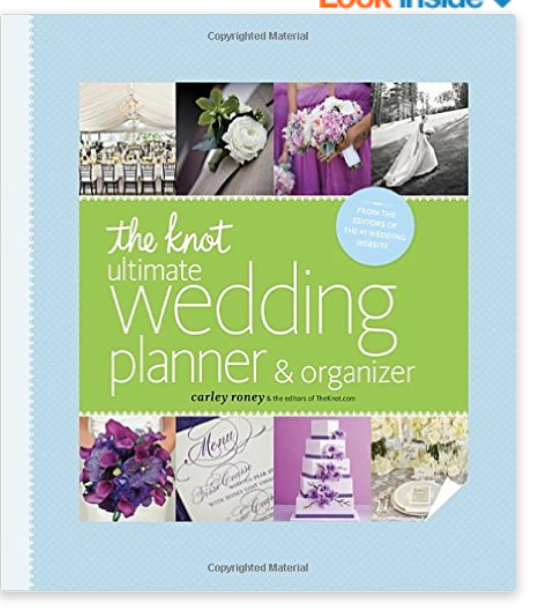 The Knot wedding planner. This wedding planner is the best of the best! 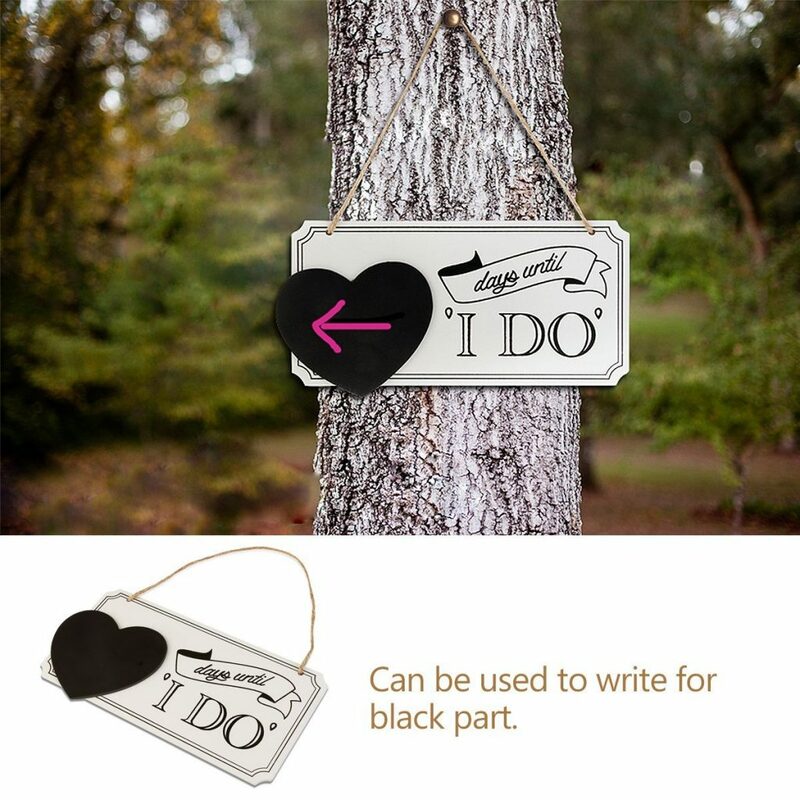 A wooden chalkboard wedding day countdown sign would look perfect displayed at the bridal shower, but the bride could also take it to display in her home afterwards! 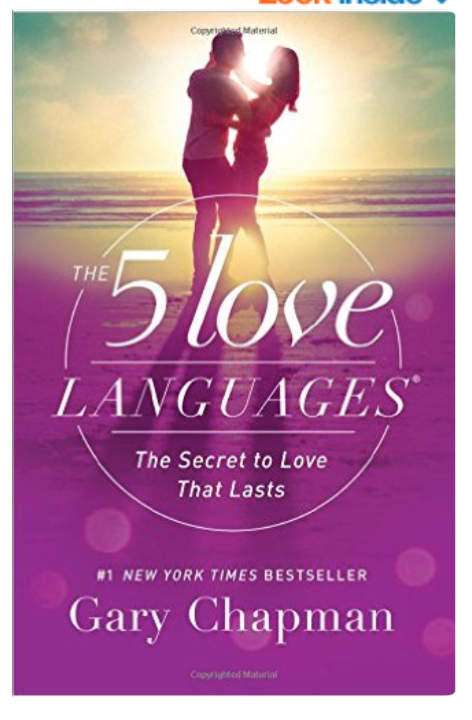 The next two are books from author Gary Chapman. 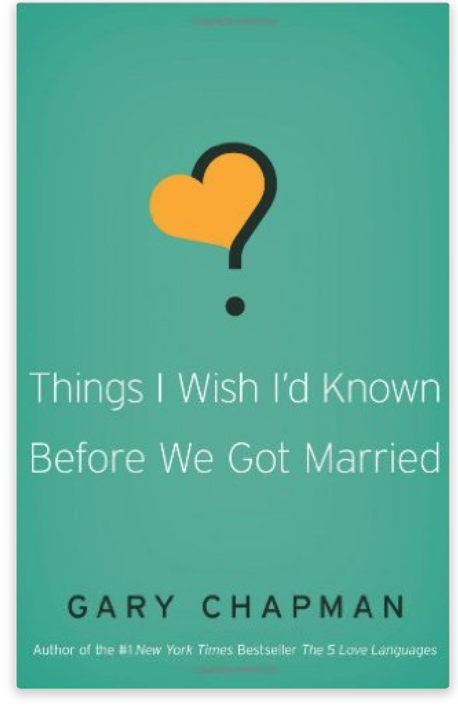 You might have heard of the book “The 5 Love Languages: The Secret to Love That Lasts”, but he also has a book out called “Things I Wish I’d Known Before We Got Married” both of which are a perfect gift to a couple who is newly engaged.